What can I do if the participants only see part of my sharing screen? Get to know how to troubleshoot when the participants only see part of your screen. Sometimes when the presenter is sharing the entire screen on a Windows computer, the participants can only see a part of the screen. The issue is caused by the high DPI of the computer. The presenter can refer to the steps below to resolve the issue. Step 1. 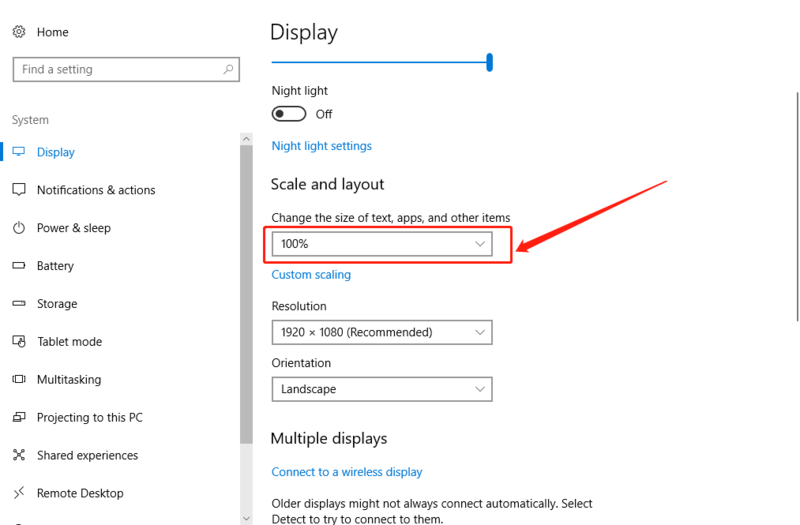 Right click on your desktop, go to Display Settings and check the resolution. 3. Then you can share your screen again and see if that works. If you still have questions, please contact ezTalks customer support for help.